We’d love your help. 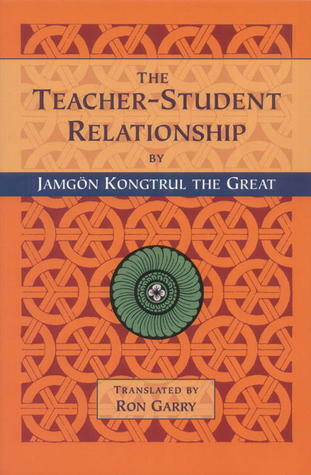 Let us know what’s wrong with this preview of The Teacher-Student Relationship by Jamgon Kongtrul Lodro Taye. To ask other readers questions about The Teacher-Student Relationship, please sign up. Feels weird rating Jamgon Kongtrul the Great. What can I say? I think if the translation had been done by someone like Erik Pema Kungsang it would be more interesting. Nevertheless, the book is useful for practitioners of Tibetan Buddhism in examining this important relationship with the teacher. It is written in a similar style to the Jewel Ornament of Liberation and is a great reference or read, front to cover.